Never ever stop thinking for yourself. Likewise, never ever stop drinking for yourself! Make your choices based on wines that make you feel alive, let your senses have a say. 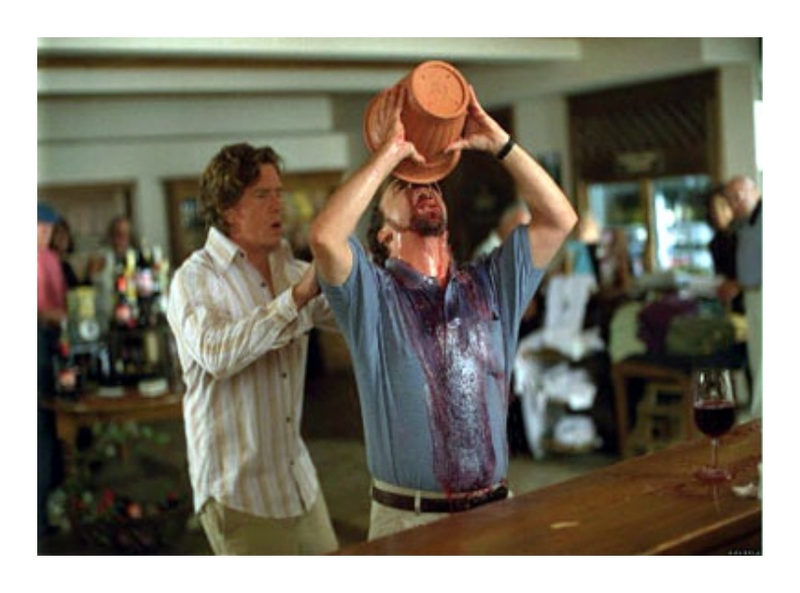 An example of a trend gone wrong- the death of merlot. Killed off by Sideways lonely heart, Miles Raymond (Giamatti) with a simple line frustratingly declaring that he would not drink merlot. An American movie-going public, hungry for guidance on vinosity, shunned merlot and went crazy for the grape Raymond seemed to support, pinot noir. I heard about the Sideways effect on the market, and saw it firsthand when living in Napa a few years after the movie came out. Vineyard owners were ripping up plots of merlot and replanting the spaces to pinot noir. A friend’s father was trying, fruitlessly (ha), to sell his merlot harvest. No cigar. And the thing is, it’s a good grape- from the sandy subsoils of northeast Italiy’s region of Friuli, from the dry sunshine-soaked dusty soils of Napa Valley, from the historic vineyards of Pomerol and St. Emillion on the right bank of Bordeaux’s Gironde River- merlot is as lovely now as it has ever been. That is, when it is made by responsible producers, as with any wine. With its medium tannin, medium acidity, and plummy plushness- it renders a steadfast and reliably nice wine. A classic to serve, to gift, to drink.